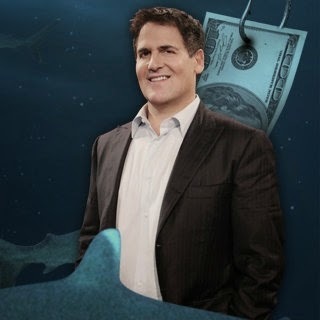 I'm a big fan of the TV show Shark Tank on ABC. Entrepreneurs seeking a cash infusion can pitch their concept to five legendary investors and see who bites. Half the fun of the show is seeing the wild, wacky and sometimes downright ingenious ideas that people have come up with. And the other half of the fun is watching all of the investors fight each other to strike the best deal and gain the right to develop and invest in a really great brand. No one has a better killer instinct than Dallas’ own entrepreneur, billionaire and businessman, Mark Cuban. On Thursday, August 28, he will introduce North Texas to four new entrepreneurs that he personally scouted and is endorsing their products at various Central Market locations around the DFW-area. You can meet Mark Cuban and see product demonstrations from Alyssa’s Healthy Cookie, Chapul, Monkey Mat and Simple Sugars. I mean, aren't you dying to eat crickets?! Mark Cuban thinks you are. Alyssa’s Healthy Cookie: Alyssa’s Bakery takes great pride in making cookies by selecting the highest quality all natural ingredients to make one of the best tasting oatmeal cookie. Every cookie is made from scratch in small batches to ensure the quality and homemade taste. Chapul: Chapul is the leading provider of cricket energy bars. They seek to build a more sustainable future by introducing incredibly efficient insect protein in a delicious organic product. Monkey Mat: Monkey Mat is a portable, all-purpose blanket that you can take everywhere. It features weighted corners, loops for stakes and comes in a variety of colors. The Monkey Mat was designed by Christie Barany and Courtney Turich, as a solution for people with an active outdoor lifestyle looking for a quick and portable solution that is easy to set up and take with you. Simple Sugars: Simple Sugars are an all-natural line of skincare products designed especially for sensitive skin. Central Market-DALLAS (5750 E Lovers Ln, Dallas, TX 75206) 11 a.m. – 1 p.m.
Central Market-SOUTHLAKE (1425 E Southlake Blvd, Southlake, TX 76092) 2 – 4:00 p.m.
FORT WORTH (4651 West Freeway, Fort Worth, TX 76107) 5 – 7:00 p.m.